If you have any questions about the MISSING LINK information page below please contact us. 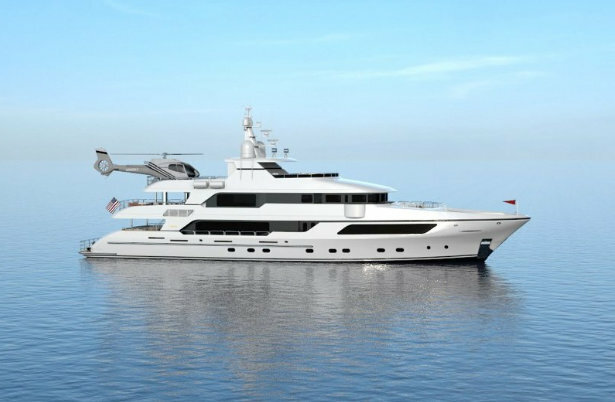 Launched in 2015, luxury motor yacht MISSING LINK (Project Buzz, hull 039) is a superb Custom 43m Series craft, constructed by the leading US builder, Christensen Shipyards. 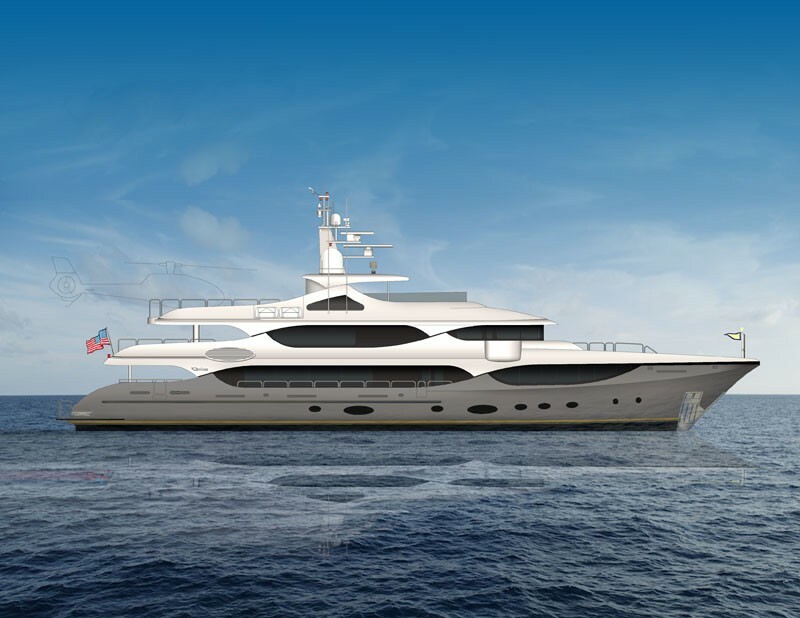 Superyacht MISSING LINK has been designed by the yard's in-house team, with interior design by Carol Williamson & Associates. A total number of 12 guests are provided with utmost in luxury aboard MISSING LINK superyacht, offering 5 deluxe staterooms. These include a main deck master suite, 2 VIP staterooms and 2 forward convertible guest cabins. 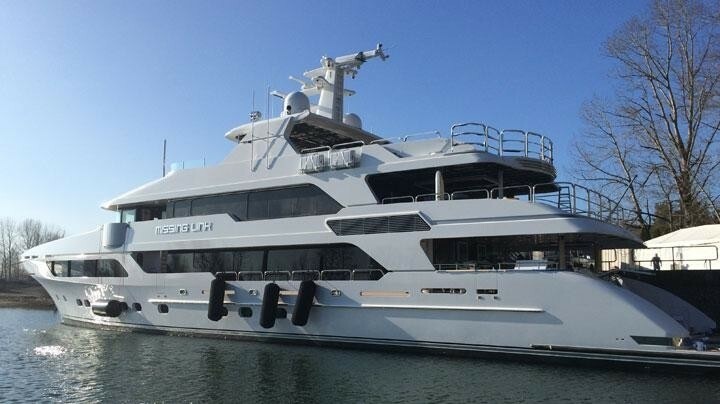 The vessel is managed by a friendly crew of 8 professionals, sleeping in 4 crew cabins. Externally, superyacht MISSING LINK offers plenty of opportunities for entertaining as well as sunbathing, together with generous room designated for a touch-and-go helipad and water toys. The sun deck is fitted with a full height bar, Spa Pool tub, day head and splendid lounge areas. The bridge aft deck provides a large dining table for al fresco dining with drop-down air conditioning. 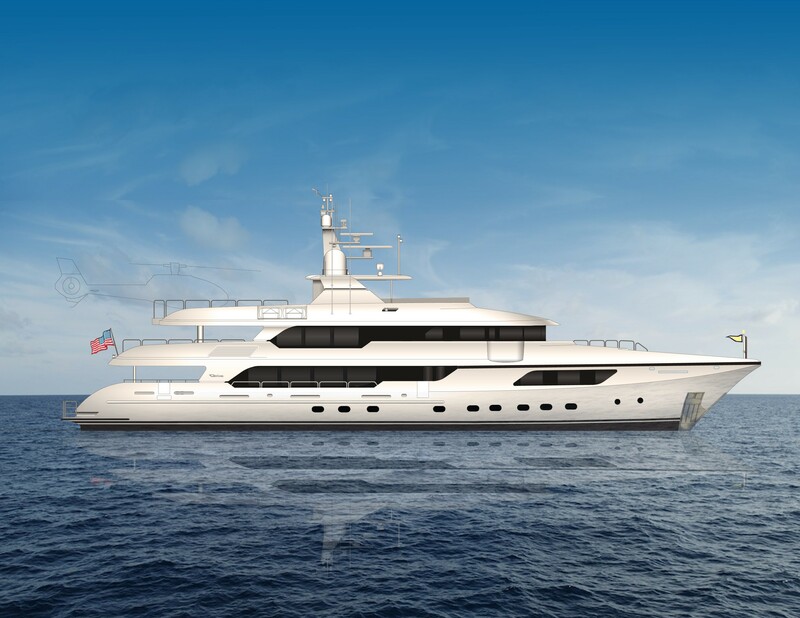 Built in composite, the 43-metre luxury yacht MISSING LINK (Project Buzz, hull 039) can achieve a top speed of 16 knots, thanks to her twin MTU 12V 4000 diesels. ABS classed as well as MCA compliant, she features a beam of 9m (29'53'') and a maximum draft of 2,40m (7'87''). Luxury yacht MISSING LINK can sleep 12 guests in total, providing them maximum comfort and style in 5 staterooms. There is a main deck master suite, 2 VIP staterooms and 2 forward convertible guest cabins. The vessel also carries a highly trained crew of 8 members, sleeping in 4 crew cabins. We do have available further amenity, owner and price information for the 43.30m (142') yacht MISSING LINK, so please enquire for more information. The luxury yacht MISSING LINK displayed on this page is merely informational and she is not necessarily available for yacht charter or for sale, nor is she represented or marketed in anyway by CharterWorld. This web page and the superyacht information contained herein is not contractual. All yacht specifications and informations are displayed in good faith but CharterWorld does not warrant or assume any legal liability or responsibility for the current accuracy, completeness, validity, or usefulness of any superyacht information and/or images displayed. All boat information is subject to change without prior notice and may not be current.